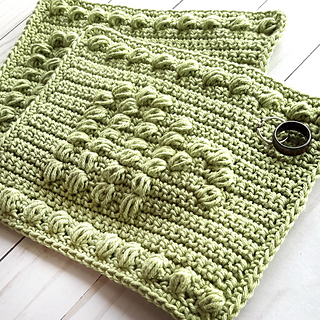 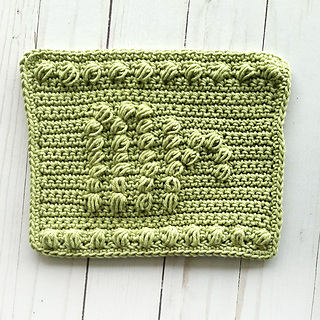 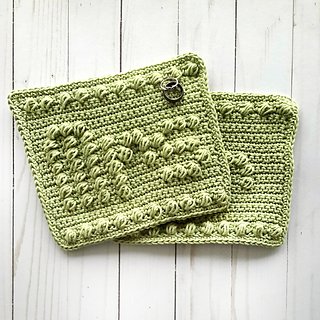 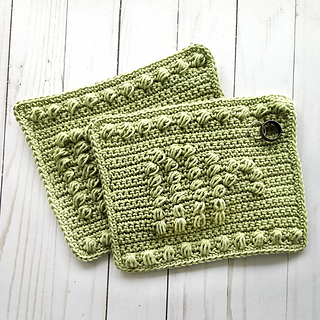 When made in cotton, linen, or hemp, these dishcloths are suitable for either kitchen or bathroom use. 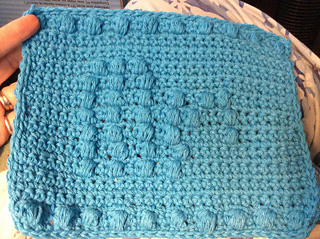 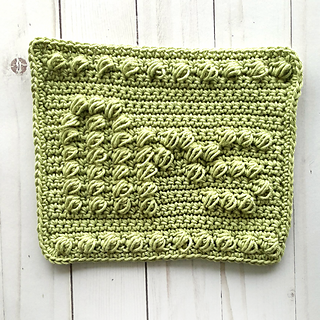 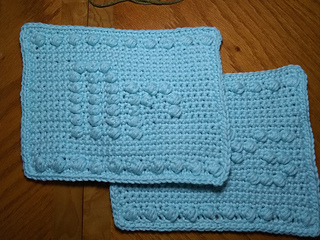 Only single crochets & puffs are used in this pattern. 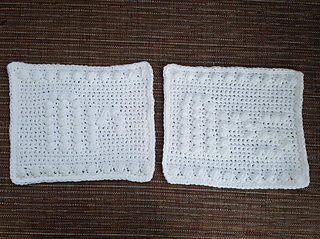 It is fully written & charted for both the Mr. & Mrs options.